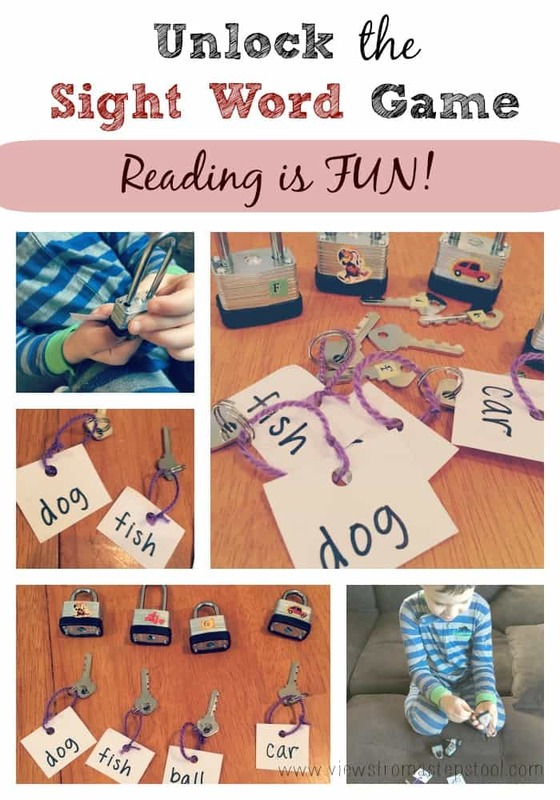 While I firmly believe kids should really be focusing on play and fun at a young age, my son has definitely taken an interest in letter sounds and spelling, and I am trying to encourage it in a fun way. 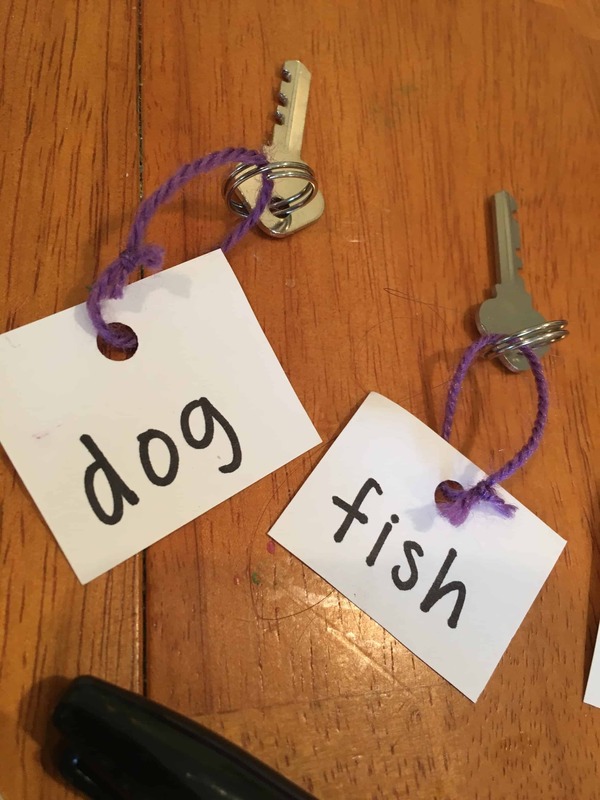 This idea came from a lock and key busy bag that I had tucked away from when he was younger, which we transformed into a simple sight word game. I love that this can be re-worked to focus on shapes, colors, numbers, and more! 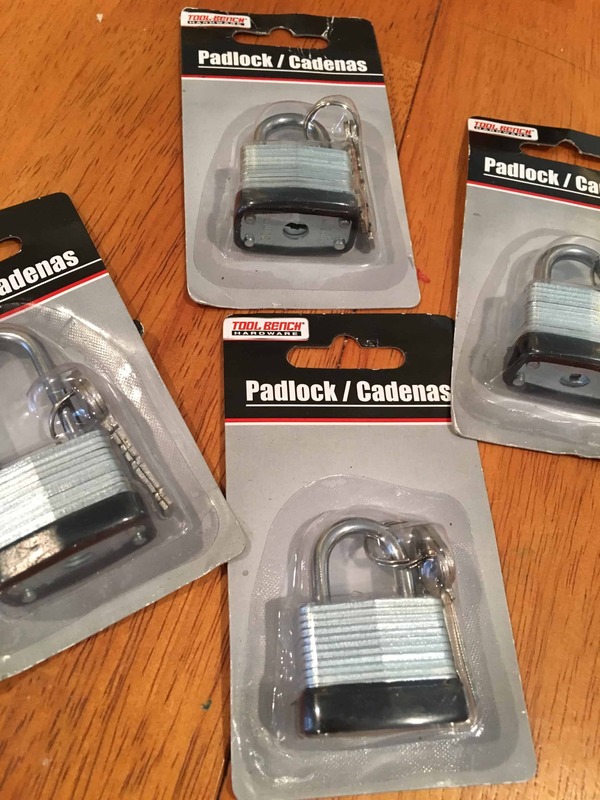 I bought these padlocks at the dollar store. 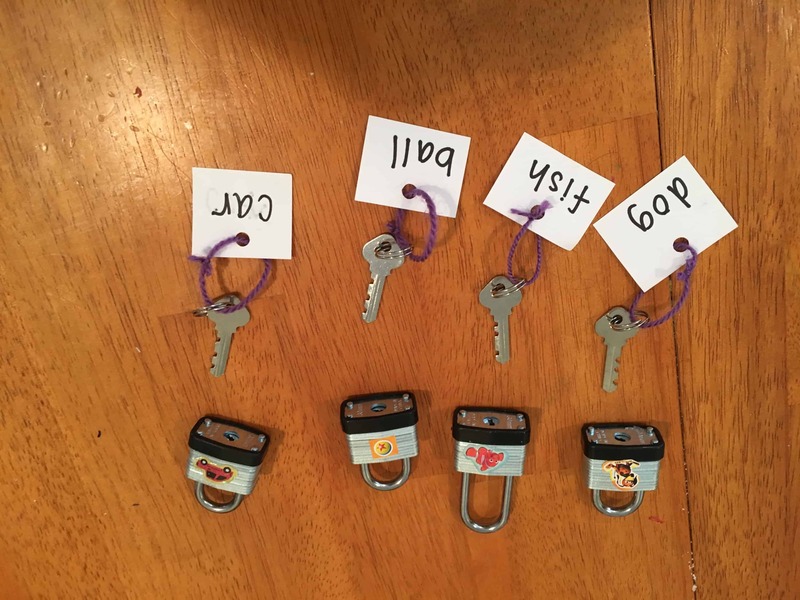 I used 4 because I felt like it was enough to stay busy, but was also a manageable amount to be able to put in a sight word busy bag and take out with us. Each lock came with two keys. On one, I attached a piece of yarn, punched a hole into a square of paper, and attached it to the key with a sight word on it. On the locks, I placed a sticker with the corresponding picture. 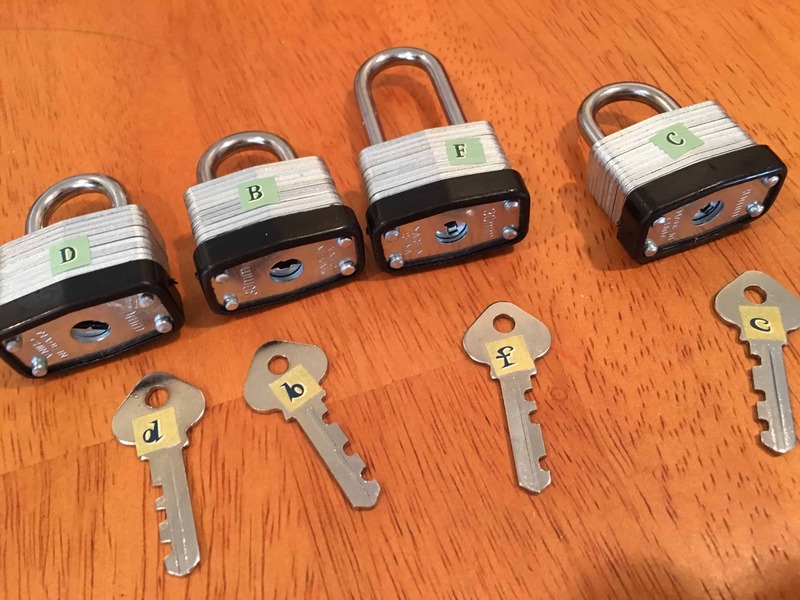 On the back of the lock I put an uppercase letter (the beginning letter of the sight word) and the corresponding lowercase letter on the other key. That’s it! So simple but fun. 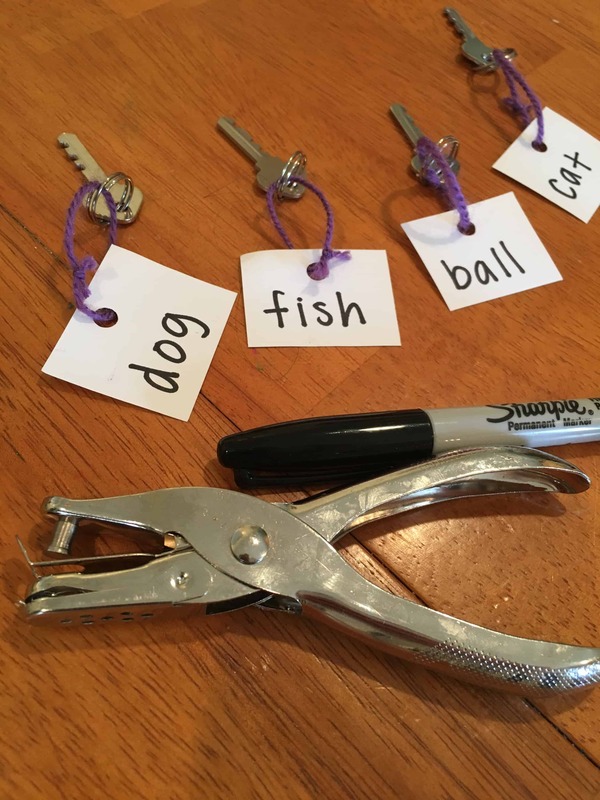 Set all of the keys in a pile and for the kids to read the word and find the right key to open the lock. 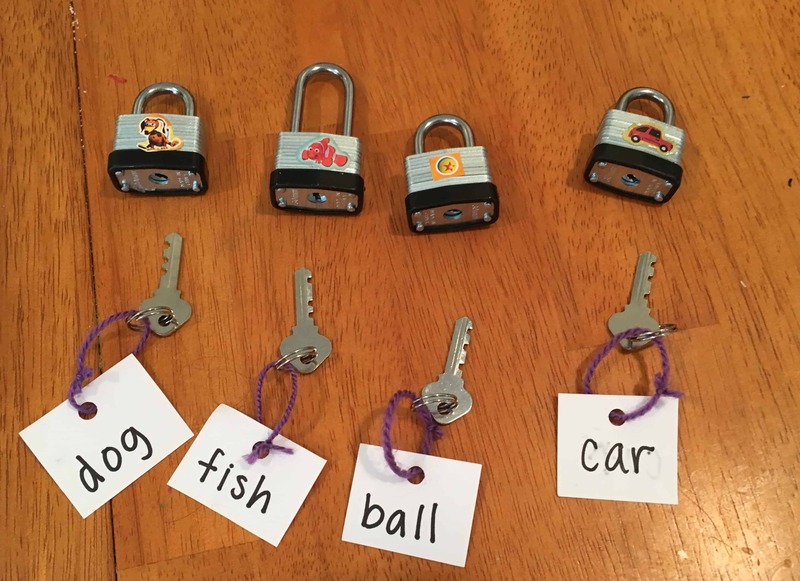 Kids will welcome the challenge, trying to sound out letters and open the locks. 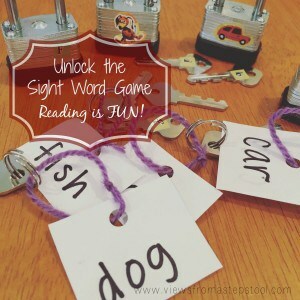 My 4 year old has been practicing and has gotten so good at these sight words. 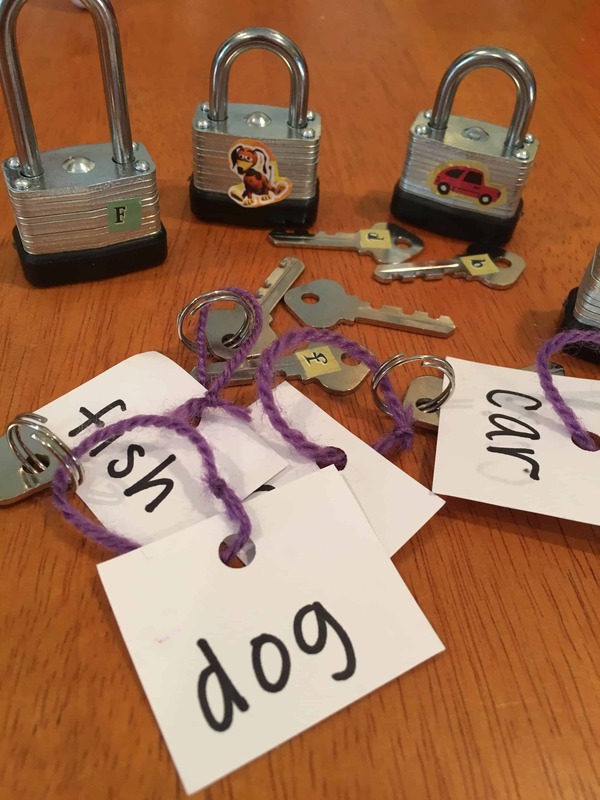 The words can be changed by placing new stickers on the locks and sight words on the keys. My younger ones have also enjoyed just playing with these. They are all learning fine motor skills, problem solving, and the process of elimination. I was full on OBSESSED with the periscope you did on this.. I think it is the smartest idea ever! This is such a great idea! My 3yo is totally going to love doing this and I think grandpa has some extra keys/ locks!